Happy Chinese New Year to all my fellow friends and readers! It the time of the year to receive Ang pow from relatives and time of gathering with all the relatives at grandma house. I can't believe that it will be my last year receiving Ang pows. Can't be thinking too much on this as I will giving away my wedding card invitation to my relatives too. 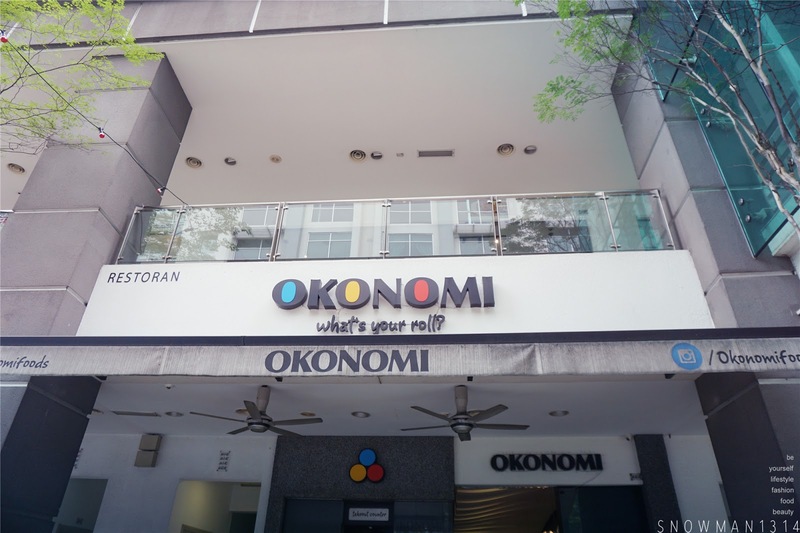 Back to today post is about SUSHI ROLLS which I had myself enjoy very much at OKONOMI, it was one of my favorite sushi place to hang out whenever I visit Publika. Not only that they have sushi roll which highly recommends but their matcha here was really famous too. 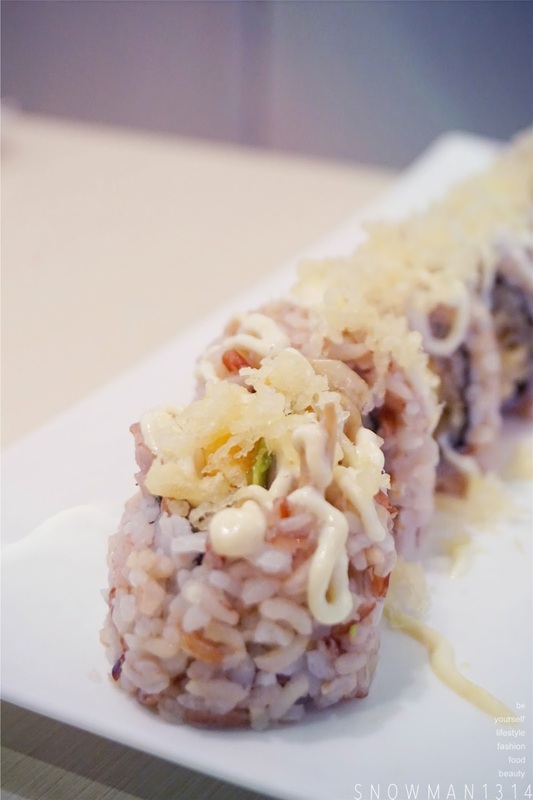 Sushi and Matcha is one of the must food whenever you are at OKONOMI. 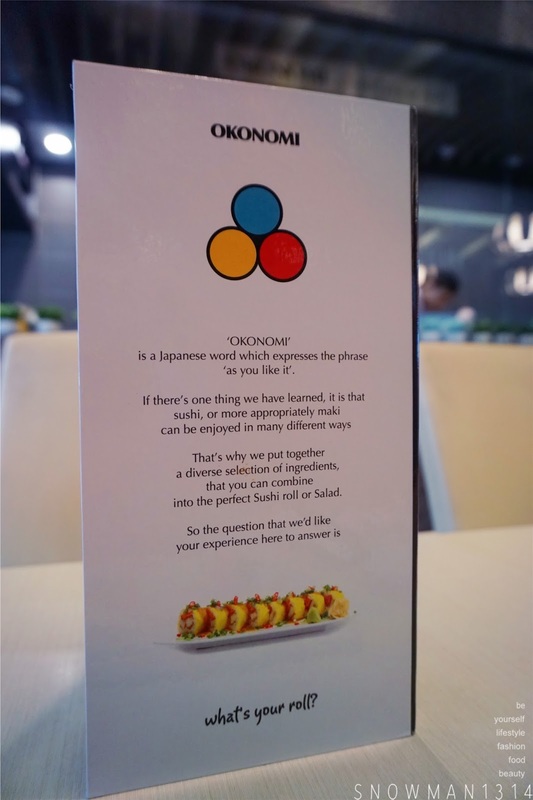 At OKONOMI, you can customize the sushi roll as you like, in Japanese word OKONOMI which expresses phrase as you like. Not only that now you can customize your own soft serve serving too! Which all will be introduce in this post. 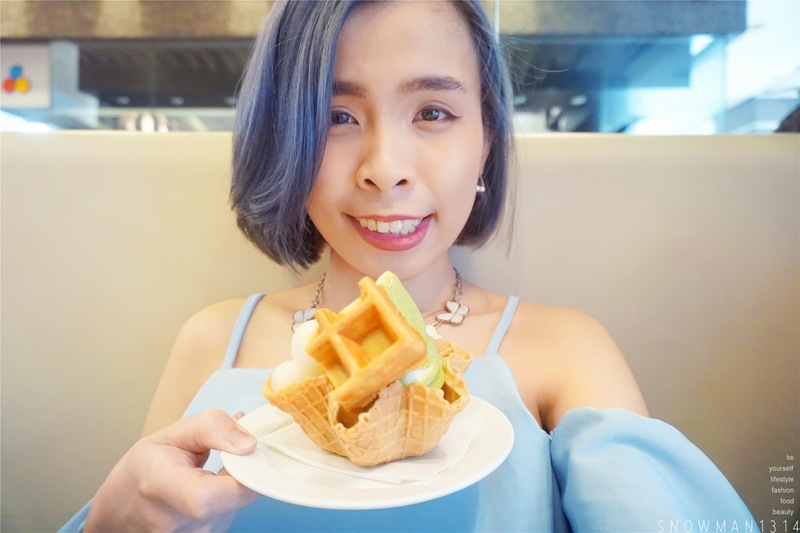 You have to try their matcha drink whenever you here! 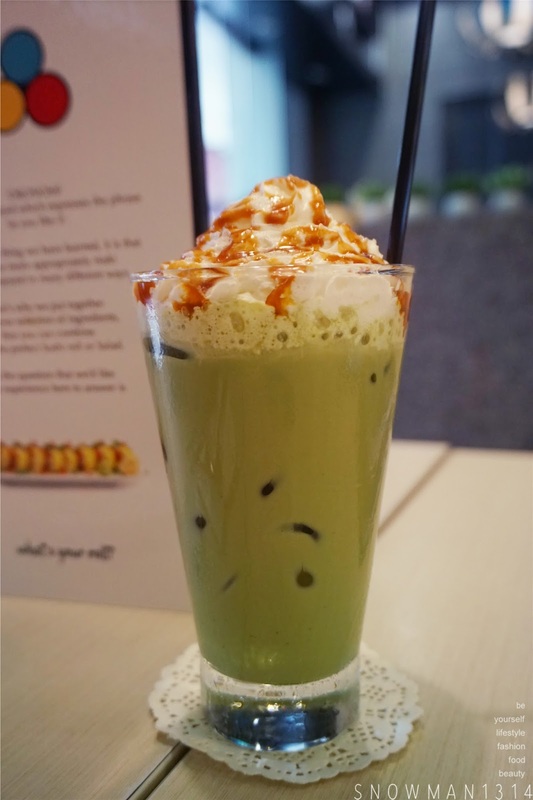 Their matcha is not too milky but gives the right aroma of matcha fragrance. I always love matcha with slightly bitter and thick aroma of matcha. 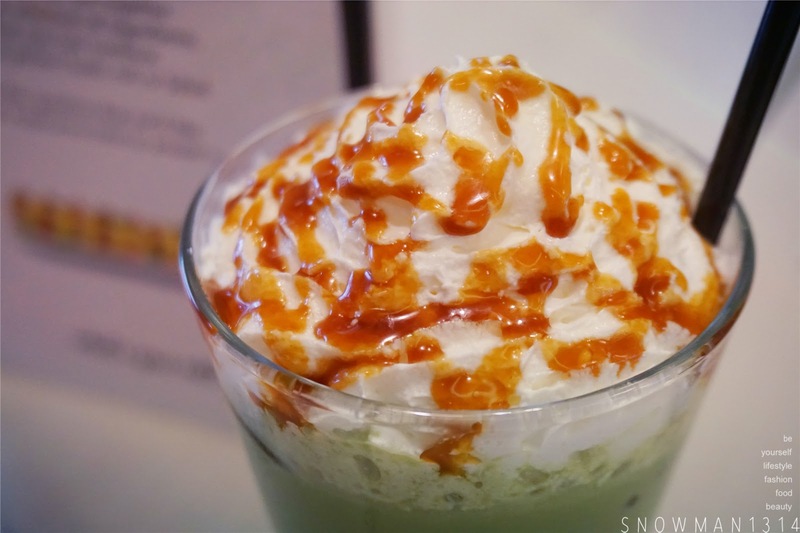 With the caramel whip cream as a topping, it serves as the sweetness of the drink. 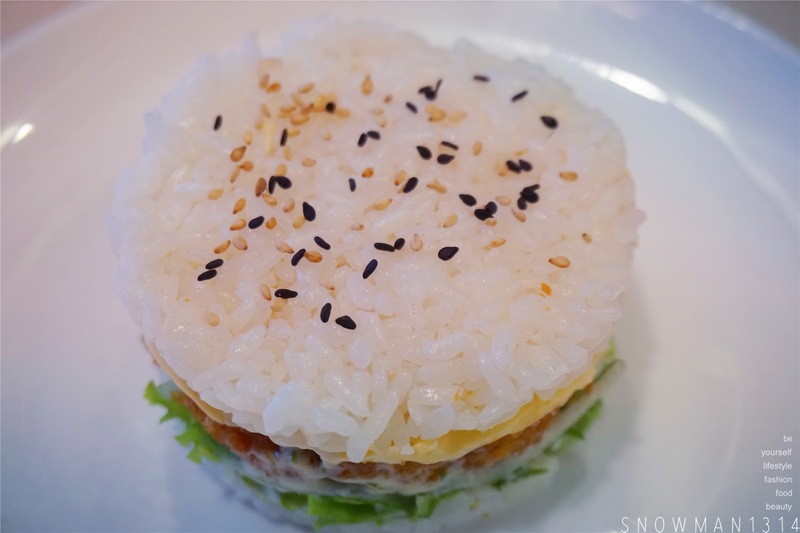 Gently breaded deep fried chicken, melted cheese & crunchy iceberg lettuce layered in seasoned rice topped with sesame seed. 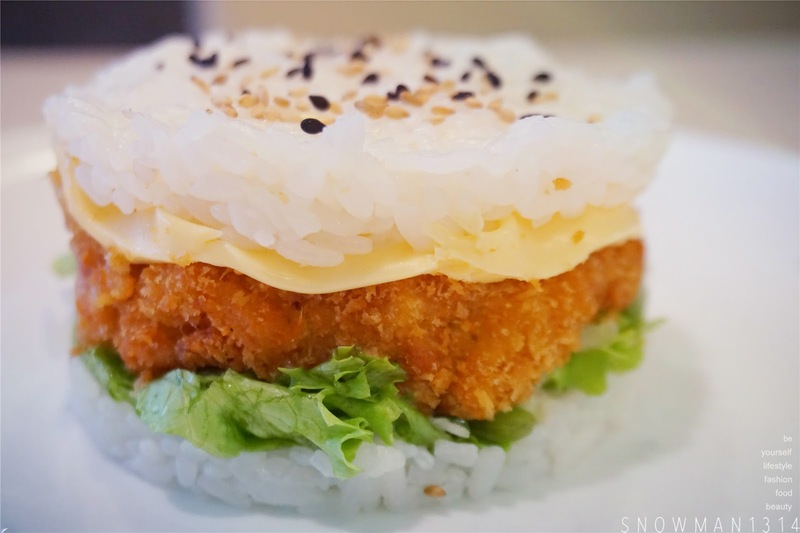 When I first saw this rice Katsu Chicken Burger, I was really surprised and wanted to try this! Imagine with one scrumptious bite, you can enjoy the rice, cheese on top of the breaded deep fried chicken together. We decided to eat it politely with fork and knife too. 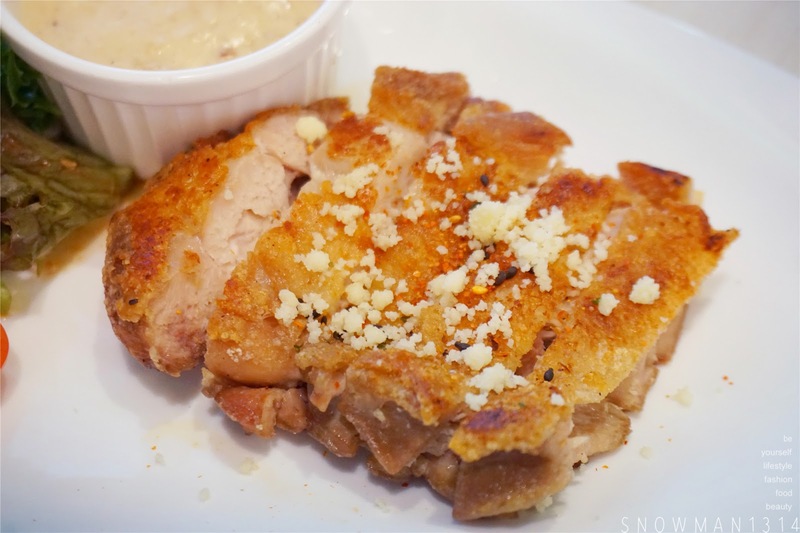 Love the crunchiness of the fried chicken and soft layer of the cheese and rice on top! I kinda miss this serving as it was another signature serving too. 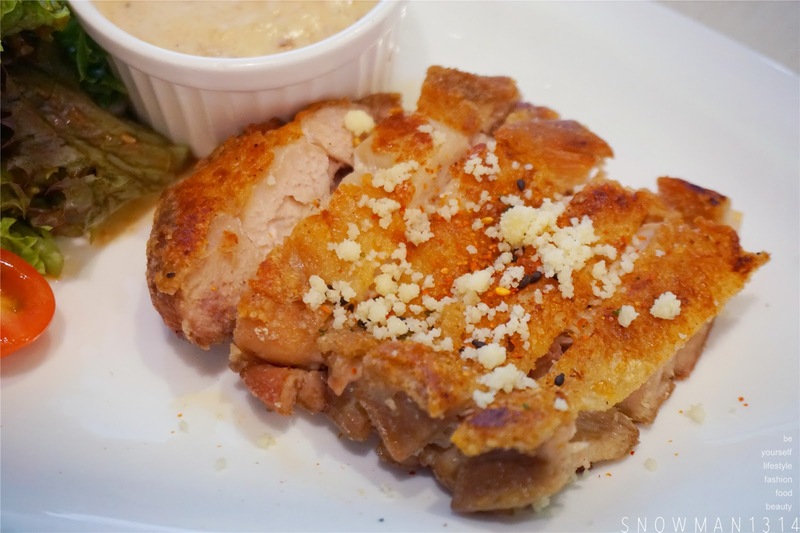 The chicken was grilled until crispy outer which topping with garnish garlic. The sauce was one of the highlights too, when you dip the chicken into this thick mushroom sauce, you can easily taste the mushroom and garlic mash together in your mouth. Uramaki, seaweed, white rice, tempura, tiger prawn, bluefin tuna, Japanese cucumber, tempura crunch, ebiko, roasted garlic sauce & toasted. 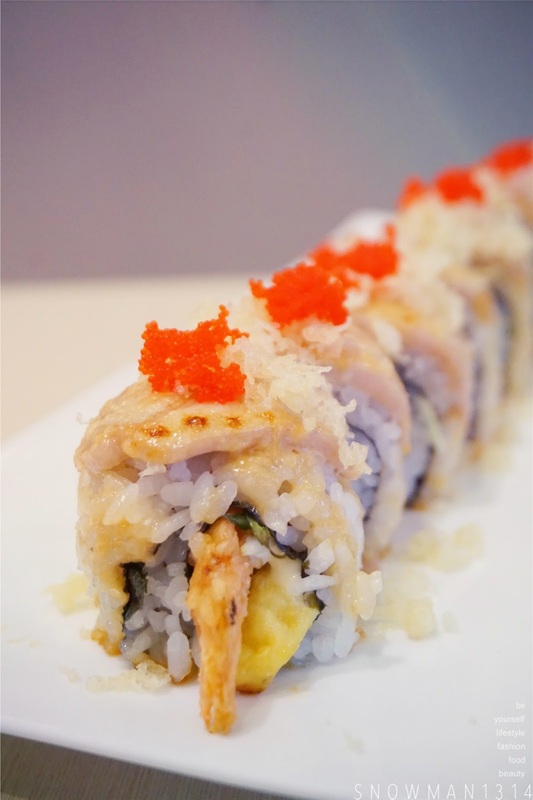 Time to enjoy their famous Sushi Roll with really fresh ingredients. 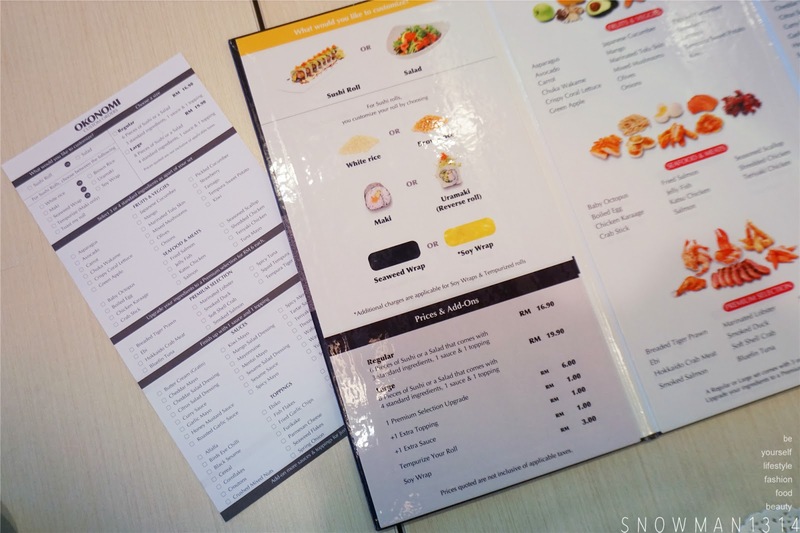 Every time when I dine in here, I always look forward of their sushi roll because with only one bite of sushi your mouth surely is overflowing by the ingredients and tasteful of fresh ingredients inside your mouth. With the Fresh Tuna on top of each sushi roll, and Uramaki, seaweed, white rice, tempura, tiger prawn, Japanese cucumber, tempura crunch, ebiko, roasted garlic sauce you can easily enjoy one bite of goodness in just one bite. 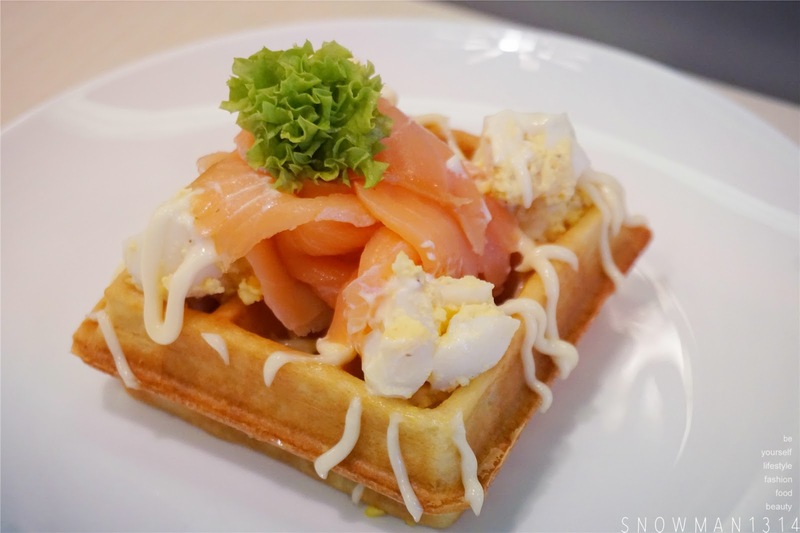 Smoked Norwegian salmon & eggs served with golden brown waffles. When I first saw this, I was so excited as I never enjoyed raw salmon in dessert serving. 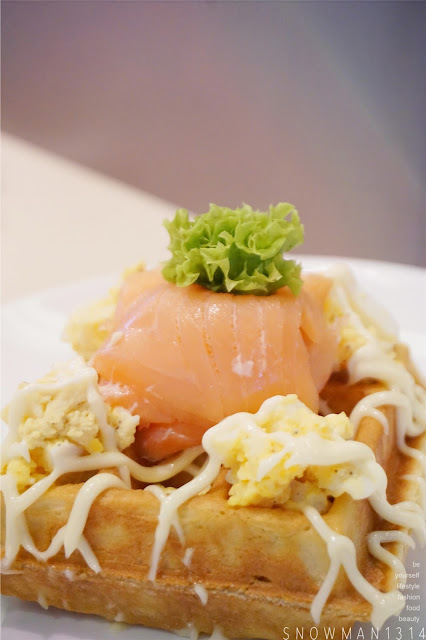 Their salmon sashimi was so fresh and huge each slice when I eat it with eggs and waffle. You can enjoy many layers of different taste in this serving. Not only that I can say that this was a high protein meal which might be a bonus for those who work at the gym all the time. Back to the main attraction here, is their customized Sushi Roll at OKONOMI. 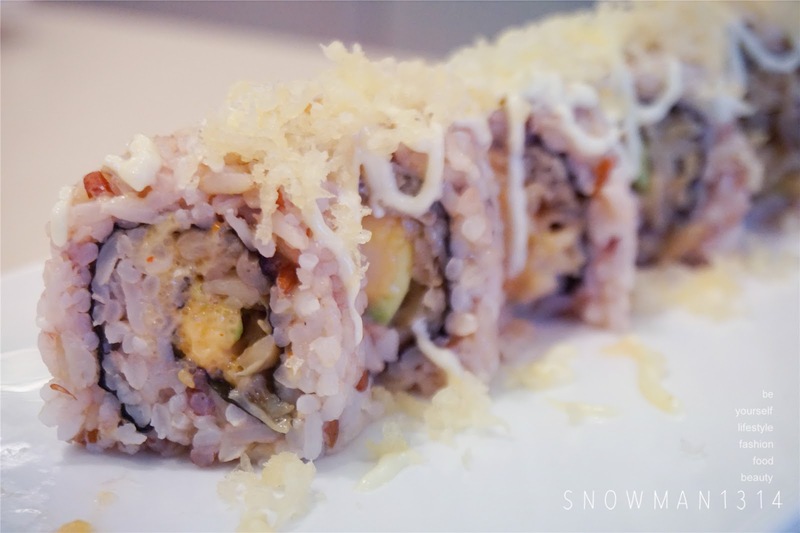 You can pick your own ingredients for the sushi, even sauce, wrap and topping too! 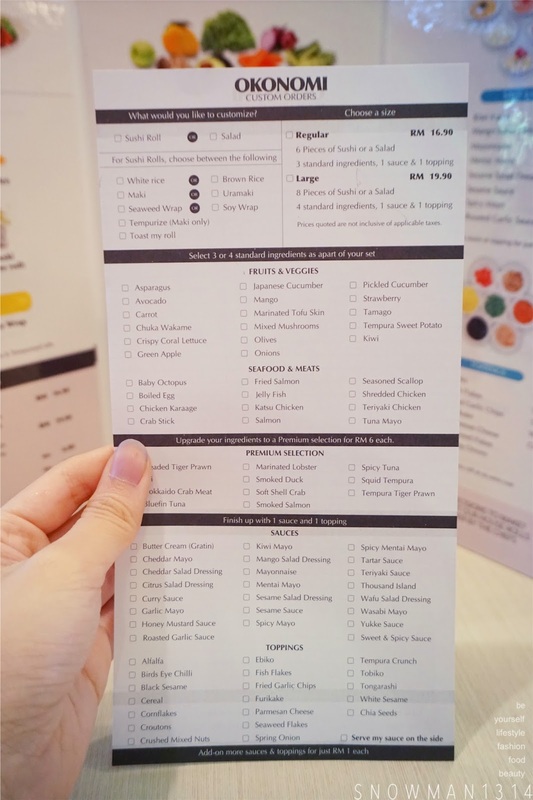 If you want some healthier choices, you can choose veg and fruits, if you want some seafood serving, you can choose their fresh seafood ingredients. Everything is just up to your choice! Our Own Customized Sushi roll. We didn't plan a name for it but we really like the results of tour special customized sushi. As it was really tasty and I love the sauce on it too! We have Brown Rice, Avocado, Mixed Mushrooms, Seasoned Scallop and Premium Marinated Lobster. Which are heavy and fresh with seafood ingredients, since we are both seafood lover, it's hard to not choice seafood as our main top ingredients. 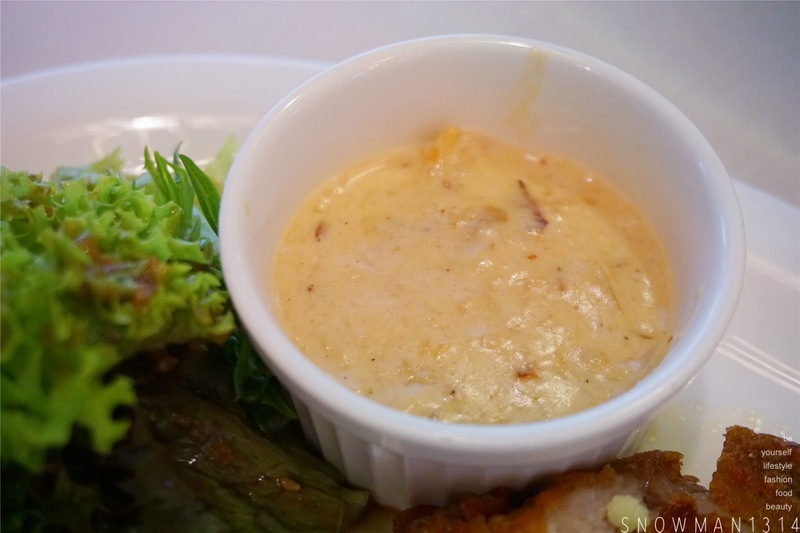 With the Roasted Garlic sauce which makes this serving even more tasteful and savory taste too! 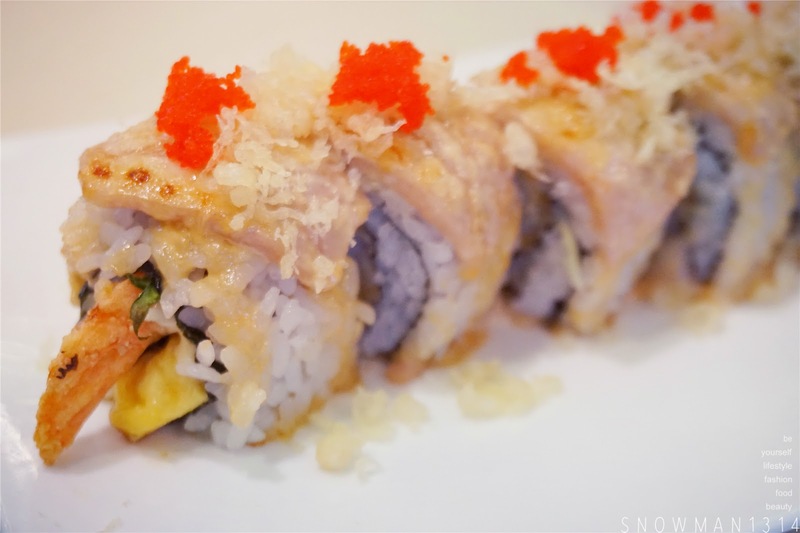 Really miss OKONOMI Sushi Roll now! In addition, OKONOMI now has this customized soft serve corner which you can choose our own soft serve serving. 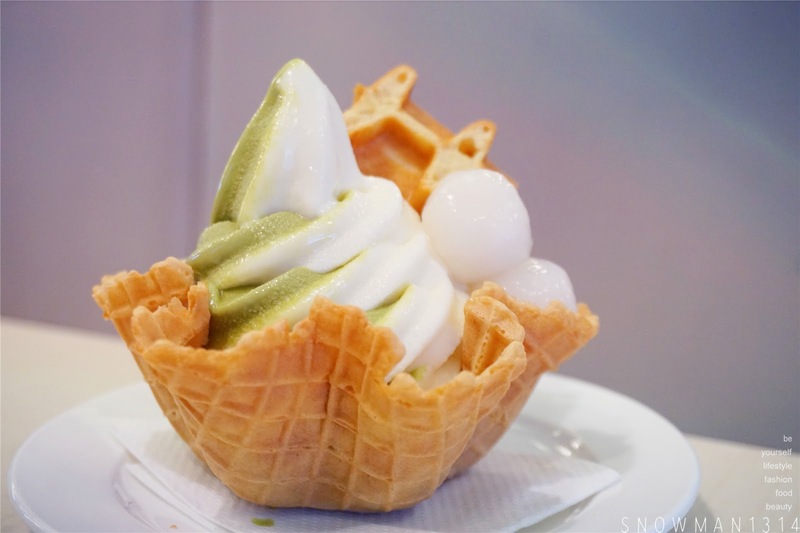 I order this cone bowl for my soft serve because it looks extra cute to eat it! 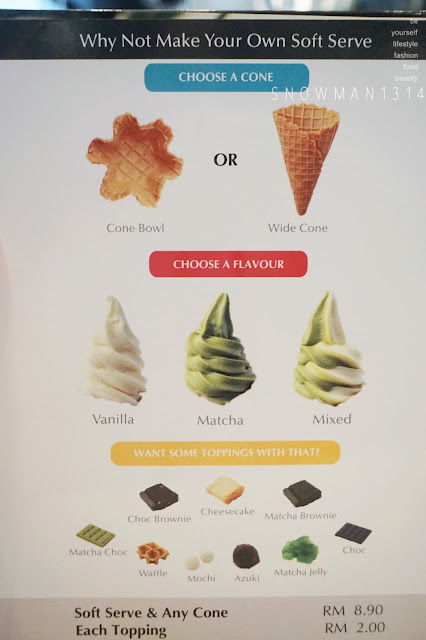 Haha Although we use some time to finish up the soft serve, but despite it the cute shape I think it worth it! 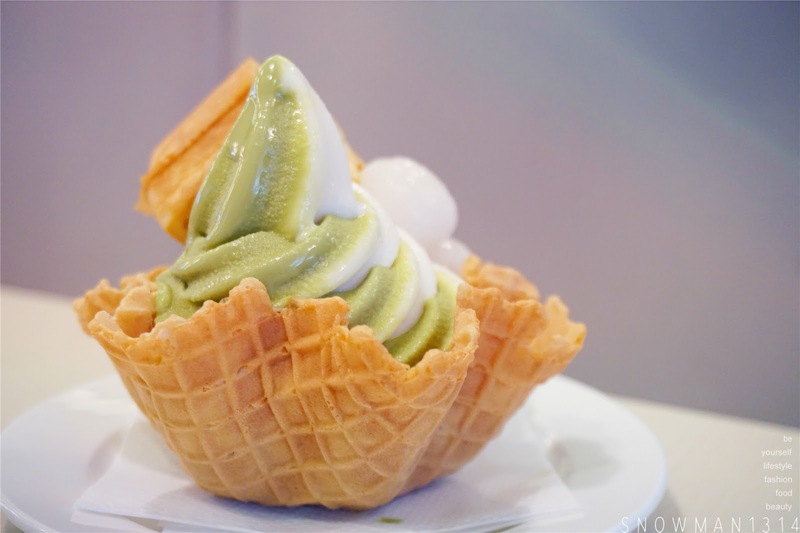 Mix flavor is mix with Vanilla and Matcha which balance out the sweetness of soft serve. I simply love it and enjoy this mix flavor very much. 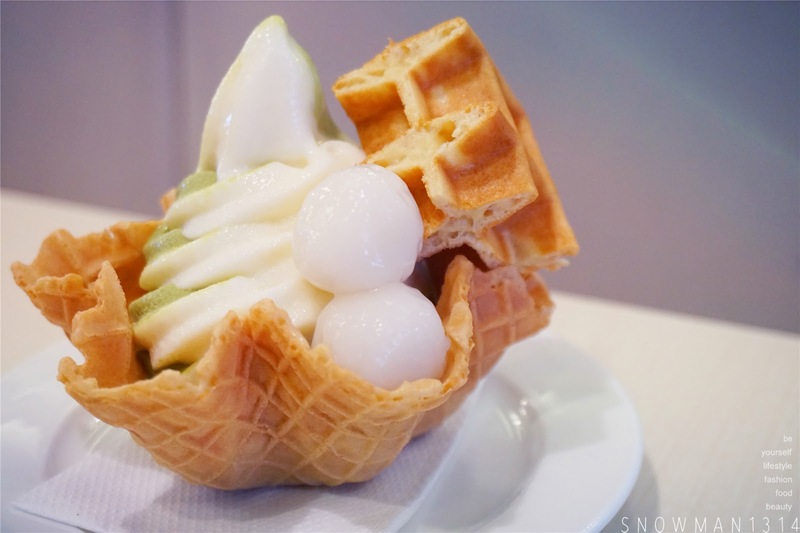 With an extra topping of Waffle and Mochi Balls, it adds some boing boing and crispy texture of this serving. Me and my own cute customized soft serve. 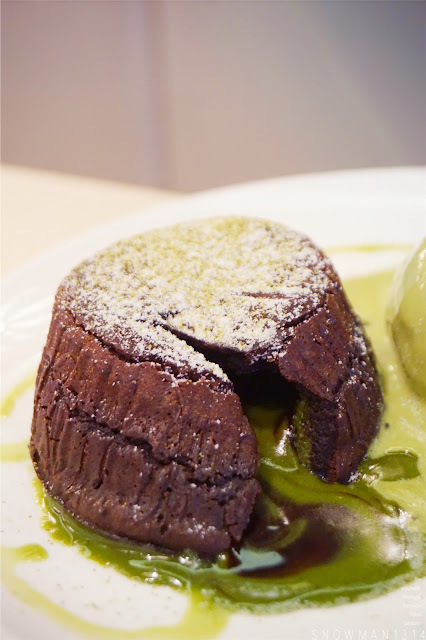 My last and favorite dessert of the day, Choc Matcha Mix choco lava cake!! 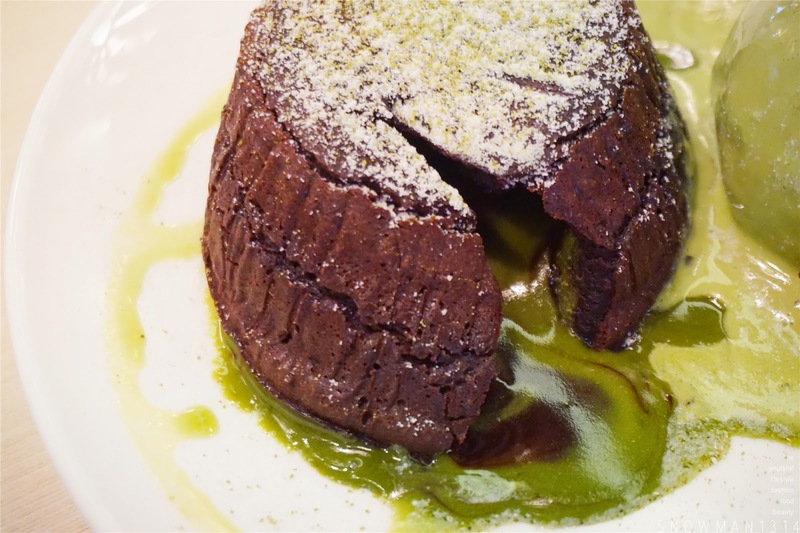 If you feel that the whole matcha cream is really too rich and full to eat it, try this mix choco lava cake. Crispy on the outer chocolate cake which I really enjoy it, crispy and not over soft at all! 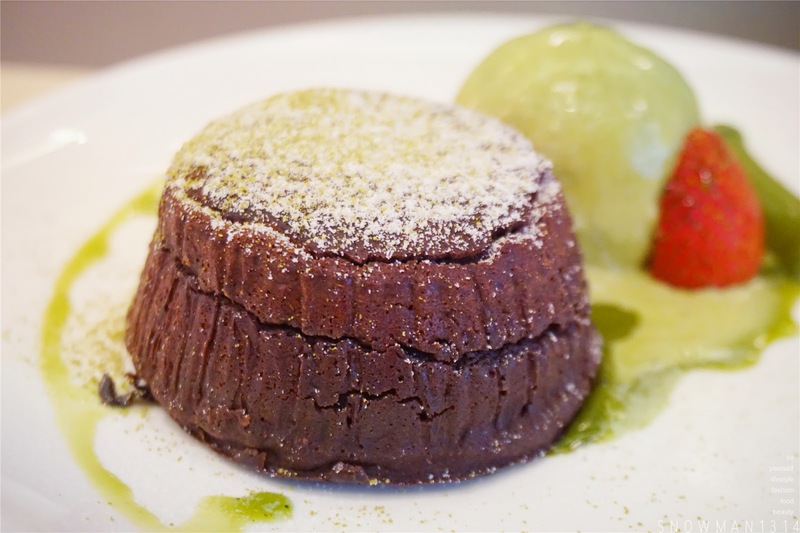 With the hot Choco and Matcha lava melted out, it was a really nice cool and hot combination eating with the matcha ice cream. 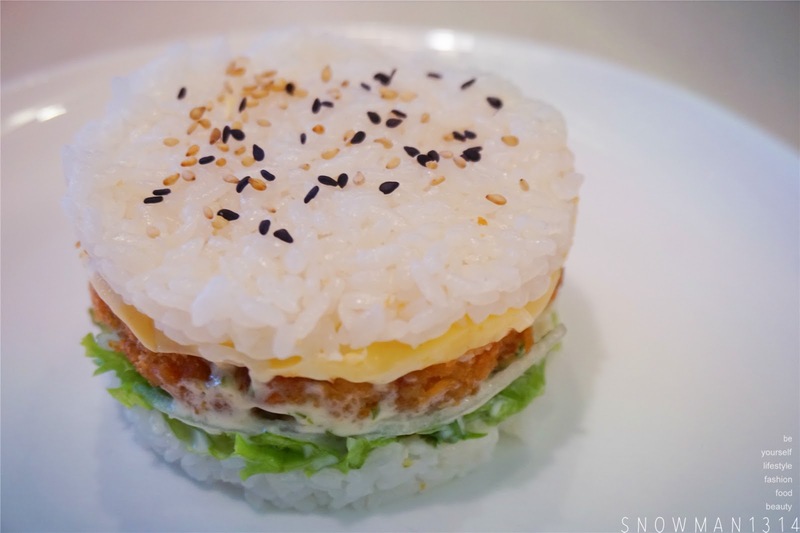 These look like fusion Japanese food. I love the fact that we can customise our own soft serve, too. That is indeed a different experience. Yes I agree =D I enjoy the experience too! 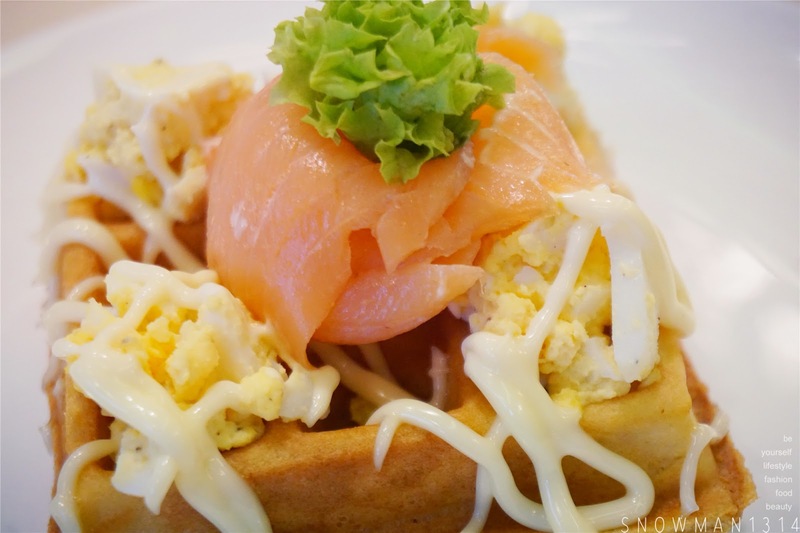 Two things really attracted me: The Katsu Chicken Burger and the Salmon and Egg Waffle. Hope to try this next time! Alright hope that you like it! Yes Blair! 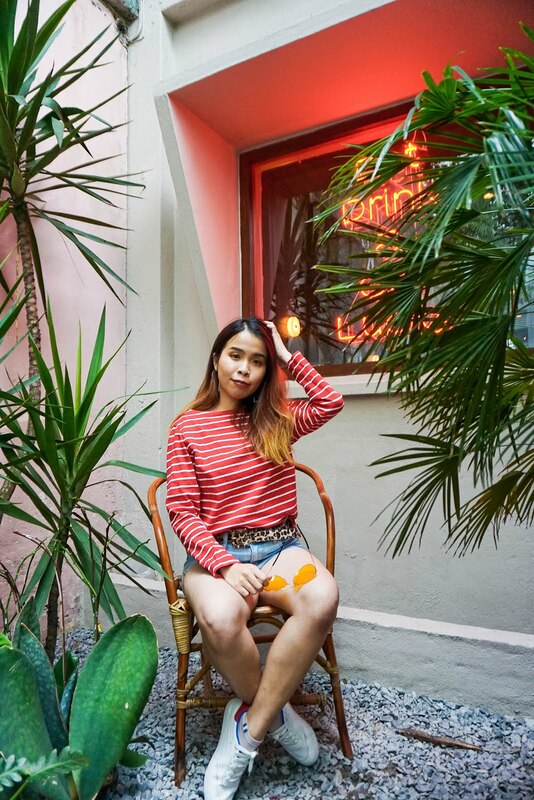 Remember to check it out when you visit Kl dear! OMG it's like you read my mind! I was just complaining to hubby about how I can never find sushi that is exactly what I like, and he said I should just make my own hahaha. 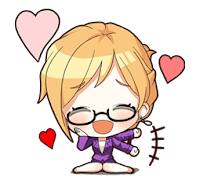 Now I know I can just go to Okonomi instead! Thanks for sharing, dear. 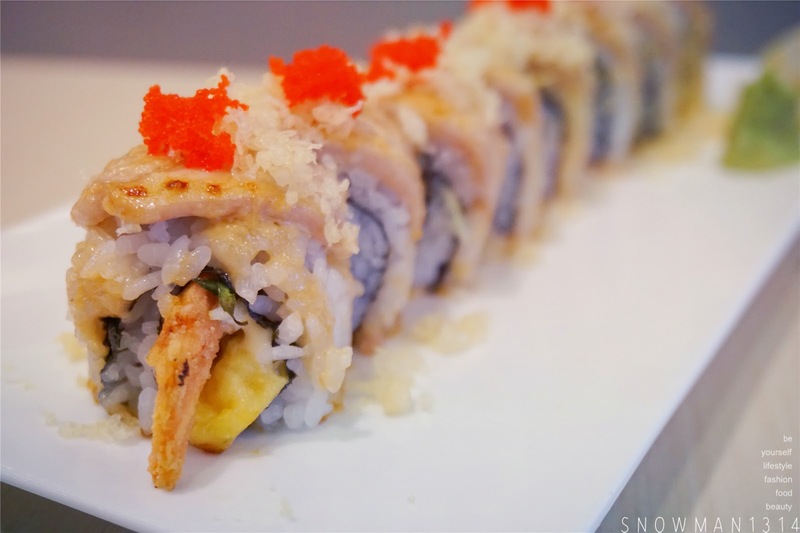 The customized soft served and customized sushi looks delicious. Will bring my kids there. Mmmm, everything looks so yummy! Happy Chinese New year! Wow this place is awesome. The food is well presented and even looks every good. Thanks dear =) Yes you should! Our family super love sushi. 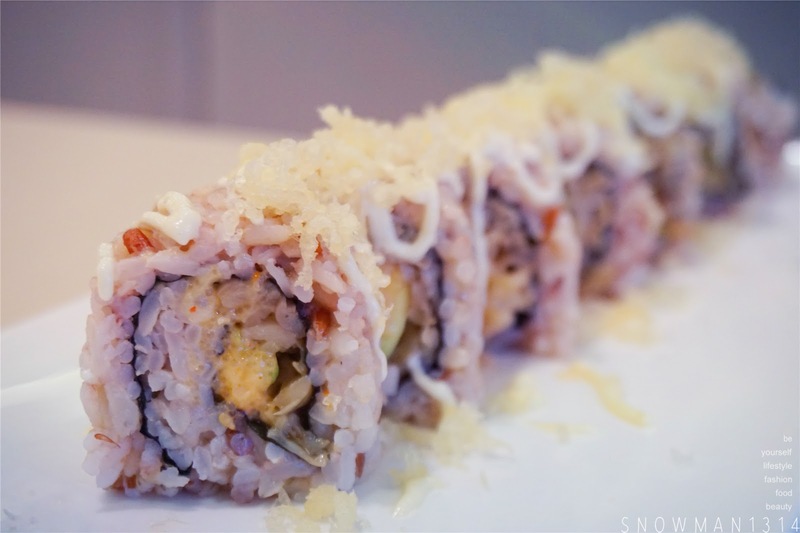 I even make my own Filipino version of sushis for them. 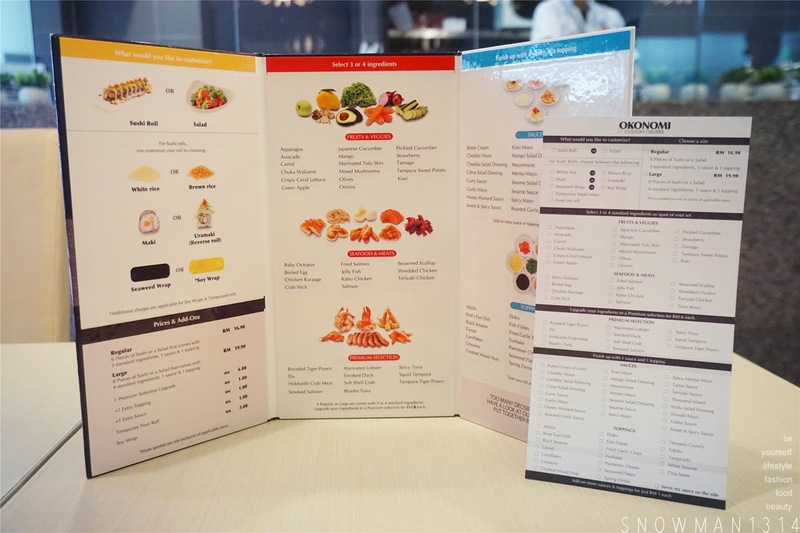 I love the concept of this store, customizable sushi. Any food with a sense of personal touch is really exciting to eat..
Oh my, they all looks so good to eat. Does this shop got Halal cert? Would like to try one day. Oh yes this place is good. 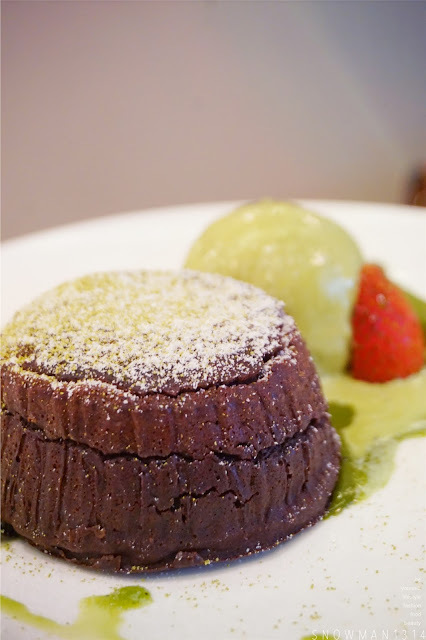 I have been there a few times, their sushi and desserts esp the choc matcha lava cake is a awesome.